The world is now more dependent than ever on technology. This trend is global and accelerating at an exponential pace. So demand on electronic products and services like those that Applied Materials (NASDAQ:AMAT) provides will be in demand for decades. AMAT is a proven company that survived the Dot com bubble, so they have faced big challenges and overcome them. March has not been kind to AMAT stock, and recently the chip stock have come under fire once again. They are momentum stocks, so they rally and fall faster than the averages. Luckily they had a nice start to 2019, so AMAT is still up 15% year-to-date. Even though in the past they carried high valuations, that is not the case now. AMAT sells at a single-digit price-to-earnings ratio. But experts on Wall Street don’t care when these stocks fall because they immediately deem them as value traps. It’s hard to argument with that, since the Dot com swoon lasted almost 20 years. Last week I went long Micron (NASDAQ:MU) because I saw it outperform despite bad rhetoric in a falling stock market. When a stock rallies in the face of adversity it is a sign that buyers are eager to run it up. I used options to leave myself a buffer, since we have the threat of political headlines. The bad news is that AMAT stock has had a long-term pivot zone around $42 per share that is likely to be strong resistance for a while. The onus is on the bulls to break through it, so they will probably need an event to do so. This could be either a headline, like earnings, or a market-wide rally where we finally break through this S&P 500 resistance around 2,800. Long term, if the bulls can take it above $43, they can target $50 per share or higher. This breakout zone will have resistance especially around $41.50 per share so it won’t be easy. Short term, there are even smaller levels to fret. $38 per share is proving to be a tough test for now. Clearly there are sellers in this stock, so if you’re buying it here it would need to be for the long term. Personally I’d rather wait out this fight and chase it on the breakout. This is not the same as saying that AMAT is a losing stock idea. This is not a call against the company or its fundamentals. Clearly this is a cheap stock but not the cheapest in the sector so the judgement there is a more complicated matter than a simple metric. More homework is in order for those who want to own it here and now. Long term, it’s more likely to be higher than now, but time tables differ from one investor to the other. But it is best to choose smart entry points into Applied Materials stock so that the asset performs best quickly. Also it is a good idea to take the position in tranches so that I leave the option to average down if prices moves against me. These stocks in general are still hostage to the global tariff wars. So until this US/China conflict is resolved investors will have one foot out the door of stock ownership. These days traders are quick to hit the sell trigger at the first hint of trouble. Luckily, experts on Wall Street agree that there is much more upside in AMAT stock. Most analysts who cover it have it as a buy or strong buy and it is trading 20% lower than their average target for the stock. 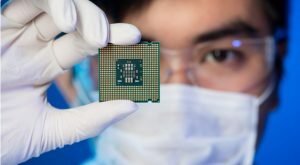 Article printed from InvestorPlace Media, https://investorplace.com/2019/03/applied-materials-stock-has-upside-but-may-require-patience/.